Inducted were McCollett, Nicol, Vining, Whitney, Cloutier, Coniff, Gagne, Gosselin, Harris, Hopkins, Jorgensen, Lenko, Lyon, Ouellette, Stephenson and Varney. 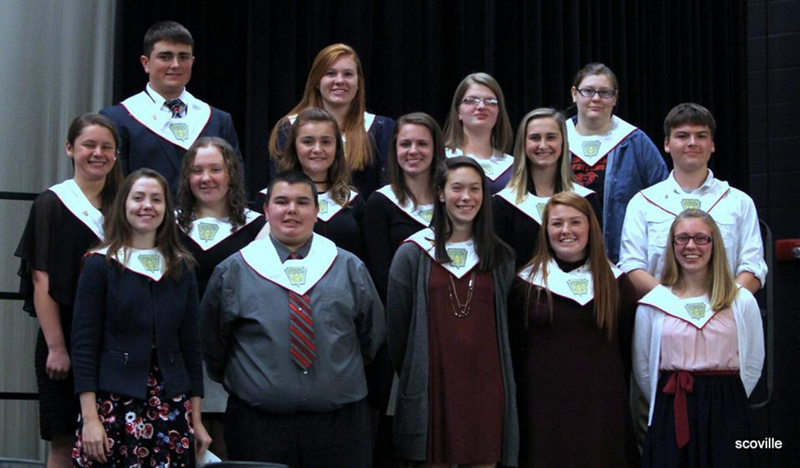 AUGUSTA — Cony High School’s National Honor Society inducted 16 new members into its chapter during an induction ceremony on Dec. 11. Inducted were Helaina McCollett, Julia Nicol, Kolton Vining and Emma Whitney, all seniors; and Allee Cloutier, Lauren Coniff, Haley Gagne, Brandon Gosselin, Hannah Harris, Cari Hopkins, Tara Jorgensen, Abigail Lenko, Alycia Lyon, Hayden Ouellette, Mackenzie Stephenson and Olivia Varney, all juniors.